This 2018 Louisville Slugger Omaha 518X Senior League Baseball Bat (WTLSLO518X10) features a huge 2 3/4-inch barrel diameter, a drop 10 length to weight ratio, and the USSSA 1.15 BPF certification. Swing with confidence knowing that these Louisville Slugger youth big barrel bats are covered by a full twelve (12) month manufacturer's warranty period. Ready to up your game? 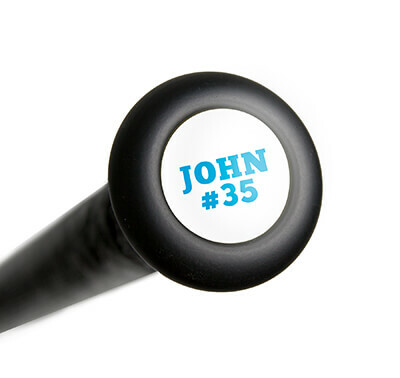 Order your Omaha 518 today with free shipping right here at JustBats.com. Remember, we'll be here for you from click to hit! Cons: It snapped on the first pitch my son hit brand new on a machine throwing 64 and losville slugger wouldnt refund it. Pros: This bat replaced an older 516 model and hasn't disappointed. My 12U son said this bat feels smoother and ball seems to jump off better. In fact last weekend he hit his first home run ever with this bat over 265 feet, needless to say he is thrilled with it. Has only been used for about 12 games so durability is up for grabs but so far I am very pleased. Pros: My son really loves his new bat! Pros: My son is weighs about 45 pounds, 45 inches tall, and swing this 27in (-10) easily. Great pop and did not need to be broken in. Feels almost as balanced at the Prime 918. Cons: Vibrates more than the Prime 918, but not by much. Rarely does my son complain about the vibration from hitting outside of the sweet spot. Pros: Just bought 2nd 518 (bigger) for my son. Been happy with both, for the money I don't think they can be beat. Great pop when fresh, first game with new bat yielded home run and triple. Cons: We do a lot of hitting and the last one did seem lose some of the initial pop after the fall season. Still a great bat but slightly less power than a new one which isn't unusual for alloy, but if you do a lot of hitting in the off season you may notice it. 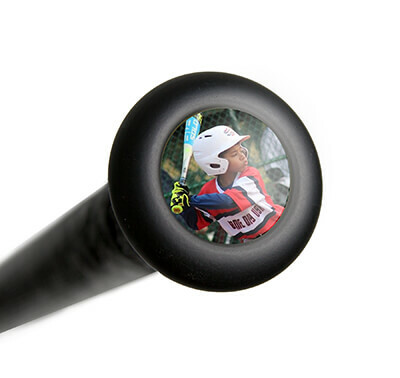 Pros: You just hit bombs with this bat. This nob helps a lot with the vibration. Cons: Bat sounds like Combat but it is Alloy? Pros: we have had this bat for two weeks. My son and another player has combined for 4 homeruns and 2 groundrule doubles. We love this bat. It has plenty of pop. I debated on the cf zen. But one player us on his third one. This truly a grade A bat!!! Have a question about the 2018 Louisville Slugger Omaha 518 -10 Senior League Baseball Bat: WTLSLO518X10? Ask our team of experts and they will respond within 24 hours. (1) Does the 518 has the same 7/8" tapered handle as the 517? (2) Is the end-cap (and paint color obviously) the only real different between the 517 and 518? (1) With the grip removed, this 2018 Louisville Slugger Omaha 518 -10 Senior League Baseball Bat (WTLSLO518X10) should feature a 7/8" handle diameter. With the grip on the bat, the handle will taper into the knob, but the handle diameter may be a little over 7/8" when the grip is on the bat. (2) The biggest difference between this 2018 Omaha 518 and the 2016 Omaha 517 will be the new 6-Star End-Cap on the 2018 bat. Would you recommend this baseball bat or the Louisville Slugger Prime 918? A decision between this 2018 Louisville Slugger Omaha 518 -10 Senior League Baseball Bat (WTLSLO518X10) and a Prime 918 bat come down to deciding whether you wanted the one-piece, all-alloy build of the Omaha 518 or the two-piece, all-composite build of the Prime 918. I think the potential for performance is the same between the two bats. The build of the bat will be decision maker for the player. This 2018 Louisville Slugger Omaha 518 -10 Senior League Baseball Bat (WTLSLO518X10) will not be BBCOR certified. How does this compare to the Marucci Cat 7? Which would be the better bat for my 11 year old? The 2018 Louisville Slugger Omaha 518 -10 Senior League Baseball Bat: WTLSLO518X10 is very comparable to the Cat 7 with both being one piece alloy bats and well balanced swing weights. However, the smallest Cat 7 features a -8 length to weight ratio, so it would be a bit heavier than the Omaha 518 -10. My player is 8u (4'7" and 98 lbs). (1) What size should I get? (2) How does the 518 [-10] compare with the 618 [-10]? (3) Does one have more pop than the other? (1) Based upon your player's height and weight, I would recommend getting a bat in the 30" length. (2) This 2018 Louisville Slugger Omaha 518 -10 Senior League Baseball Bat (WTLSLO518X10) is a one-piece, all-alloy bat. The Solo 618 is a similar bat, but due to its design, it will be slightly more balanced than the Omaha 518. (3) Overall, the potential for performance off both bats will be the same. Do you recommend this bat or the Rawlings Velo? If you are looking for a more end loaded bat. The 2018 Louisville Slugger Omaha 518 -10 Senior League Baseball Bat (WTLSLO518X10) will be a good bat. It will be slightly more end loaded than the Velo due to the Velo having the comp- light end cap. Is this bat USA Baseball Certified? The 2018 Louisville Slugger Omaha 518 -10 Senior League Baseball Bat: WTLSLO518X10 is USSSA certified, not approved for play in USA Baseball leagues. The description says one piece construction, is this bat a composite bat? I have had two composite bats fail within months after purchasing them for my 10U son. The 2018 Louisville Slugger Omaha 518 -10 Senior League Baseball Bat: WTLSLO518X10 will be a one piece alloy bat. Which bat would you recommend for a 9u kid pitch league- Marucci Hex Alloy 2 or the Louisville Slugger Omaha 518? Both are great options and you really cannot go wrong with either, however, the 2018 Louisville Slugger Omaha 518 -10 Senior League Baseball Bat: WTLSLO518X10 series has been around for many years and is always a well rated bat. I would definitely recommend it to a 9 year old player. Would the Omaha 518 be good for an 8 yr old playing travel ball 70 lbs and 4'9"? Based upon your player's height and weight, I would recommend looking for a bat in the 29" or 30" length. This 2018 Louisville Slugger Omaha 518 -10 Senior League Baseball Bat (WTLSLO518X10) would be a great bat to consider as long as the -10 size can be handled by your player. Is the 2018 better than the 2017 version of this bat? The 2018 Louisville Slugger Omaha 518 has an improved 6-Star Premium end cap to help improve the balance of the bat. Otherwise they are nearly identical in construction. Which would you recommend, this Omaha 518 or 2018 Marucci CAT 7 -10 Senior League Baseball Bat: MSBC7X10? Looking at a 30', -10. I don't think you could really go wrong with either option as they are some of our top selling aluminum bats. If I had to choose, I'd probably go with the Marucci Cat 7 since that has probably been our best selling model overall for 2017. I am looking for 28/17, 2 3/4 barrel bat but it is required to say USA on the bat. Unfortunately the 2018 Louisville Slugger Omaha 518 -10 Senior League Baseball Bat: WTLSLO518X10 does not have a USA stamp on it, and there will be no 2 3/4" barreled bats with a USA stamp on them. Son is 8yrs old weights about 55lbs. Will the 27/17 be a good fit? He like to swing lighter bats. Given your information, I think that the 27" option of the 2018 Louisville Slugger Omaha 518 -10 Senior League Baseball Bat: WTLSLO518X10 would be a great fit for your player. What are the main differences between this bat and the Louisville Slugger Solo? The 2018 Louisville Slugger Omaha 518 -10 Senior League Baseball Bat (WTLSLO518X10) has a one-piece, all aluminum design. Like the Omaha 518, the 2018 Louisville Slugger Solo 618 -10 Senior League Baseball Bat (WTLSLS618X10) is a one-piece, aluminum bat but, the Solo 618 will feature a composite end cap. The composite end cap is designed to increase barrel length and improve the bat's balance. The Solo 618 is also made with an anti-vibration handle to help reduce the sting felt on mishits. The Louisville Slugger Omaha 518 -10 Senior League Baseball Bat: WTLSLO518X10 will not require a break in period and will be hot out of the wrapper.